Our client is an award-winning company which is also a Microsoft Partner and an iOS and Android licensed development firm. It is a fast-growing technology company which focuses on international business development in Europe. 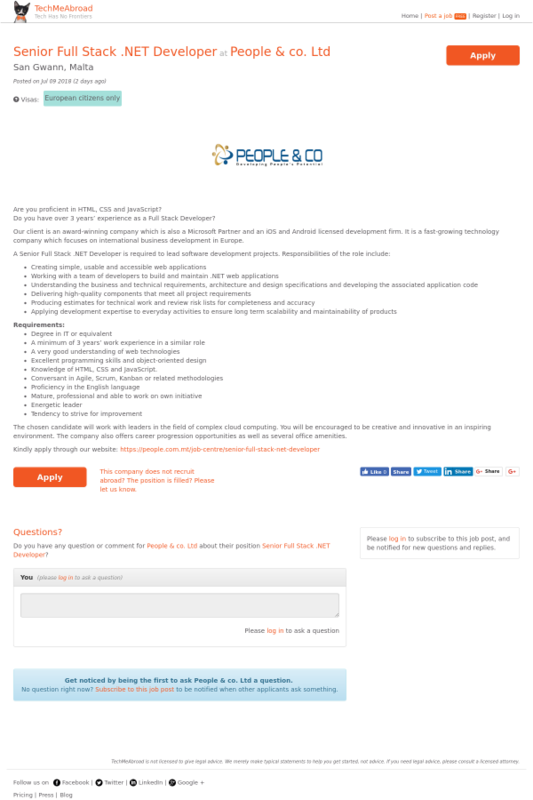 Do you have any question or comment for People & co. Ltd about their position Senior Full Stack .NET Developer ?